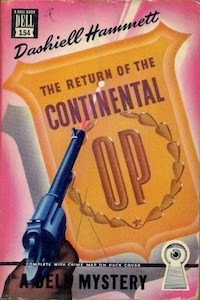 I’ve written here before -- although it’s been a while -- about Dashiel Hammett’s unnamed detective the Continental Op who appears in about two dozen stories and a couple of novels by the hard-boiled writer. Most of the stories follow a similar trajectory in which the Op is given some sort of assignment that often seems relatively simple, then discovers early on the particulars are more complicated than had been earlier suggested. From there, a favorite response by the Op is to introduce some further, often creative complication -- kind of like putting in a surprising check-raise -- to see how others will react and thus perhaps reveal their motives. Or crimes. When I brought up the phrase here before, in was in the context of talking about poker strategy, referring to the choice “to stir things up” with a bet or raise or anything that takes one out of one’s typical style or approach. Doing so can sometimes be worthwhile, a means to improve one’s game and prevent falling into predictable patterns that others can exploit. Over the last week or so I have been thinking of the phrase in a different way, though, as there have been a lot of examples of people “stirring things up” in the poker world, with several different debates flying about concerning a host of topics. I’m thinking of course about the recent brouhaha following Daniel Colman’s victory in the “Big One for One Drop” and his subsequent decision not to go through the usual picture-taking and interviewing, with various op-eds popping up in response, then Colman’s own provoking “I don’t owe poker a single thing” explanation. Also from this week I’m thinking about the back-and-forthing instigated by Greg Merson regarding the World Poker Tour scheduling a low buy-in event at the Aria during the WSOP Main Event. Jeff Walsh summarizes that one at F5 Poker, covering most of the discussion except for a few WPT-directed blasts fired by WSOP Executive Director Ty Stewart along the way. Then yesterday came another quasi-tempest when Earl Burton wrote an op-ed complaining about Kevin “Kevmath” Mathers of Bluff getting bought into the Main Event by some poker pros wishing to give something back to Kev after he’s given so much to the community for several years. Haley Hintze does a good job explaining that one and responding to it, too, over at Flushdraw. 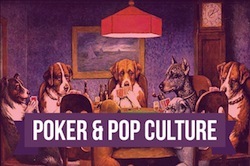 There are real issues at the heart of all of these conversations, involving poker as it played, organized, and reported upon and discussed. 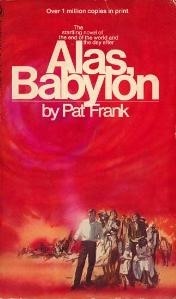 Not to be too elusive about my own positions on all of these matters, but I’m finding myself almost more interested to observe how others are responding to the “stirring up” that to be inspired to respond myself, with some in a few cases revealing themselves like characters in Hammett’s stories. To tip my hand a little... Colman certainly overlooks most of the positives about poker, while others have overlooked some of the negatives. Those running competing poker tours and series should feel free to compete with each other, but should also find ways to communicate and respect each other, too. And the indefatigable Kevmath more than deserves whatever the poker community wishes to give him by way of gratitude, while most discussions of “journalistic ethics” in poker reporting tend to forget that most of it doesn’t really qualify as journalism, anyway. It’s a funny world, the one surrounding poker. To be in it sometimes feels like sitting among a mob on the run, listening to them argue back and forth about what their next step will be.